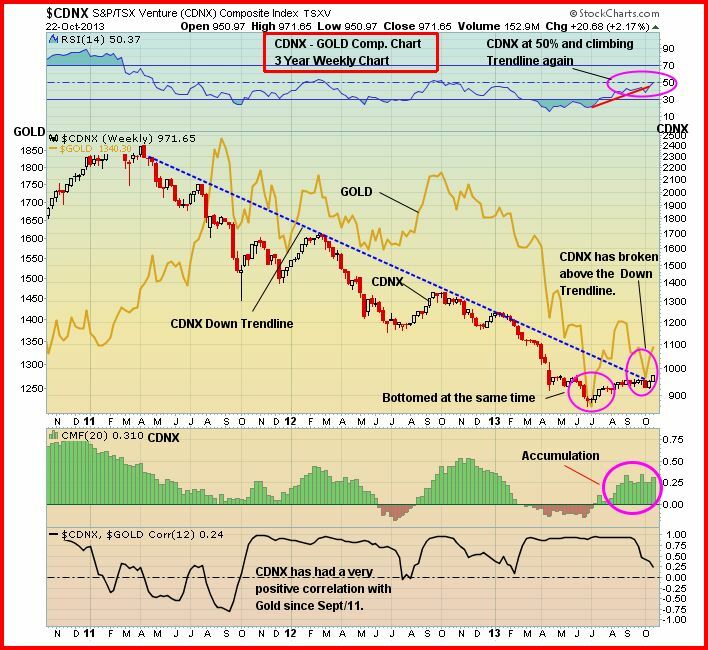 Junior Gold Miner Seeker: Canadian Venture Breaks out of 2 Year Downtrend ? The concern would be that there is further tax loss selling to come and the US$ is oversold. Is this a fake below 80 on the US$ index or a renewed US$ downtrend? 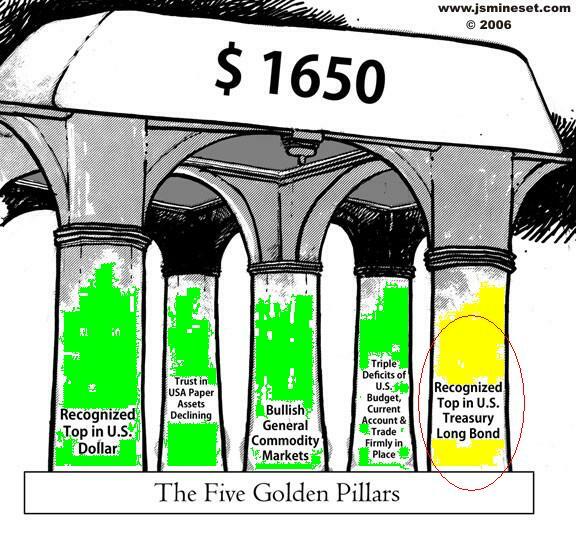 Gold and the miners seem most likely to move in the opposite direction. A rising tide will not lift all boats. Stick with the companies that have the working capital, the expertise (management and geological), the right properties in the right areas, attractive share structures, and the drive to succeed both on the ground and in the market. Vogel - though he also points to likely out-performance by the larger miners, however a turn in the Silver Miners and the juniors could be a leading indicator. Sean Broderick positive on the silver miners and some larger juniors. Also pointing to an increase in GLD ETF holdings after a long period of outflows. Strathcona withdrew from the Program on October 8, 2013 before any results from the processing of the bulk sample were available. In withdrawing from the Program, Strathcona advised Pretivm that "…there are no valid gold mineral resources for the VOK Zone, and without mineral resources there can be no mineral reserves, and without mineral reserves there can be no basis for a Feasibility Study." They also advised that "…statements included in all recent press releases [by Pretivm] about probable mineral reserves and future gold production [from the Valley of the Kings zone] over a 22-year mine life are erroneous and misleading." Snowden maintains its stance that the November 2012 Mineral Resource Estimate remains valid, and has taken steps to involve a third party peer review in its up-coming mineral resource update. In addition, Strathcona advised that, "The infrequent high-grade intercepts reported in the press releases have been shown in the underground exposures of the bulk sample program to usually be of very narrow width (0.5 meters) and associated with narrow geological structures that occasionally have mineable continuity as in the case of the Cleopatra Vein." The results from Valley of the Kings Program drilling have been, from the outset, consistent with results from prior exploration drilling in the Valley of the Kings. Drilling has frequently intersected extreme grade mineralization over narrow widths, with 47 intersections grading greater than 1,000 grams of gold per tonne from underground drilling (on average there is one in every 550 meters of 2013 drilling) and 125 intersections in total to date grading greater than 1,000 grams of gold per tonne for the Valley of the Kings. The Program was initiated, amongst other reasons, to determine the bulk mineability of the Valley of the Kings mineralization. These reasons and the form of mineralization were discussed with Strathcona prior to their engagement. When it withdrew, Strathcona advised Pretium that it had previously asserted similar views critiquing the Snowden resource model for the Valley of the Kings, accompanied with "recommendations" for public disclosure of the preliminary bulk sample data supporting their conclusions. At one point, these assertions, conclusions and "recommendations" were made on the basis of approximately 20% of the underground drilling results, no assay results from the sample tower and no results from production. But consider the Metal Augmentor view which still sees a mine.